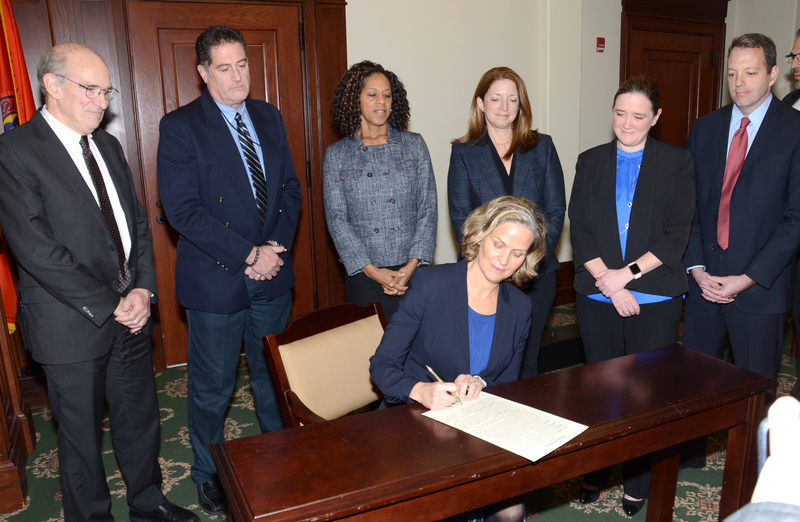 MINEOLA--Nassau County Executive Laura Curran made history today when she signed an executive order barring appointed members of her administration from holding a leadership position in a political party or donating to her campaign. She is the first County Executive ever to take such measures in New York State. The New York Association of Counties (NYSAC) confirmed Nassau County is the first to take such measures and applauded Curran’s actions to begin to separate politics and government. “County Executive Curran deserves credit for swiftly advancing ethics and integrity proposals addressing local needs in Nassau County. We believe that Nassau is the first county to implement all of these specific actions in one compendium of measures,” said NYSAC Executive Director Stephen J. Acquario.